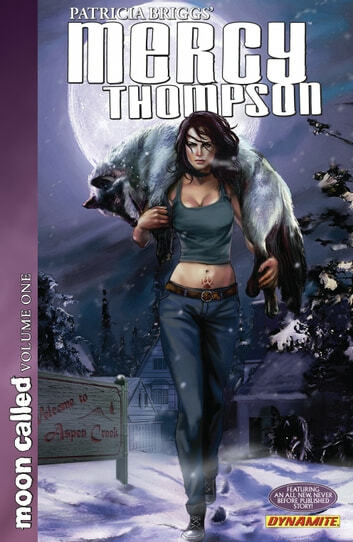 Collects Patricia Briggs' Mercy Thompson: Moon Called #s 1-4!Mercy Thompson inhabits two worlds without truly belonging to either. To the human inhabitants of the Tri-Cities she's an oddity, a female mechanic operating her own garage. To the town's darker residents, werewolves, vampires, and fae, she's a walker, a last-of-her-kind magical being with the power to become a coyote. Mercy warily straddles the fine line dividing our everyday world from that darker dimension... 'till a boy, mauled by vicious werewolves and forever changed by the attack and on the run from those who committed the crime, appears at her door. Now her two worlds are about to collide! Outnumbered and out-muscled, can Mercy possibly save the boy... or even herself? Five Mercy Thompson novels have topped the New York Times best-seller list, and her premiere graphic novel Homecoming did the same. Now Patricia Briggs' heroic shape-shifter returns to comics! Featuring gorgeous digitally painted interior art by Amelia Woo in the first 4 issues of this 8 issue series and a complete cover gallery, as well as bonus material.